For the price and size, you can't really beat the A7. This is a camera for early adopters, but it's a fantastic step forward and we're already looking forward to the next generation. Snap vivid pics of life's special moments with this spectacular Sony camera. This DSLR digital camera has a 24.3-megapixel resolution, designed for taking exquisitely-detailed photos with stunning detail. It features a Full Frame CMOS sensor, which enables capturing clear images in dimmer lighting conditions. The max ISO of 51200 is ideal for snapping photos in problematic lighting conditions. This Sony camera features a max burst speed of 5 frames per second and has built-in wireless capabilities, which enable syncing your videos over WiFi. It weighs 769 g and features an above-average battery lifetime of 340 shots. 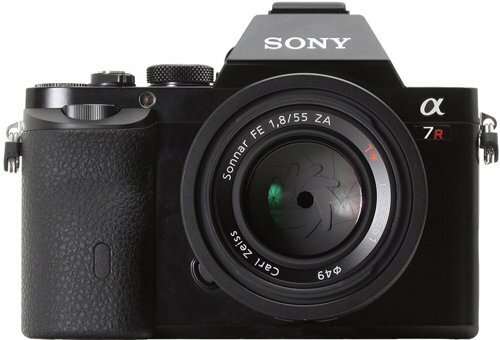 The Sony Alpha A7 Digital Camera was added to the Digital Cameras category in June 2016. The lowest price GetPrice has found for the Sony Alpha A7 Digital Camera in Australia is $1,098.85 from Ryda Dot Com. Other merchants who stock it are Ryda Dot Com, Video Pro, Digital Camera Warehouse, Camera-Warehouse, Becextech, CameraPro, Sony Store Online, Camera House, 13 IT PTY LTD.